Eastvaal Motors | Get the Renault Clio from ONLY R3100pm! 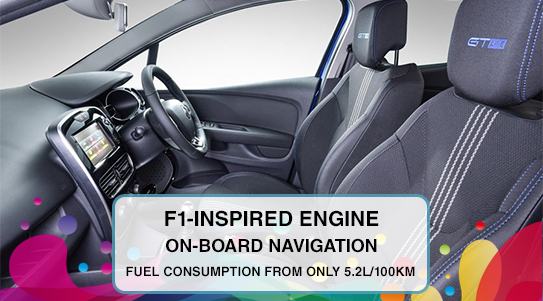 You’ll fall under the irresistible charm of the Renault CLIO from ONLY R3100pm! Clio GT-Line The Clio for the sporty at heart! The Clio GT-Line is the embodiment of sporty sophistication. The perfect Clio for everyday comfort with exclusive sporty exterior styling. Now with added power from the 1.2 88kW Turbo engine driven by the slick 6-speed manual gearbox. Limited stock on this offer so act now! Terms and Conditions apply. Images for illustration purposes only and may differ. Offers valid while stock lasts and only on select stock. Subject to in-house finances where applicable. E&OE.